​Our clinic now uses a Class IV laser that is FDA approved to reduce pain, inflammation, muscle spasm, and arthritis! Laser Therapy involves the application of low power coherent light to injuries and lesions to stimulate healing. The laser promotes healing in many conditions because it penetrates the skin, increases the ATP, and activates enzymes in the targeted cells. The effects of the Class IV Aspen laser are photochemical (cold), as opposed to thermal (hot). Hot lasers are used in many surgical procedures to cut tissue, while cold lasers are used to stimulate tissue for healing. A completely painless therapy, the laser is applied to your spine and/or your affected body part. Your body absorbs light energy from the laser, which, in turn, stimulates your cells to produce greater amounts of cellular energy known as ATP (adenosine triphosphate). ATP is the energy that your body uses for healing and repair. During treatment of the tissue with an FDA approved 980nm and 810nm laser, an interaction between cells and photons takes place – a photochemical reaction. Photons from the laser affect the tissue at the cellular level. The laser enters the tissue and is absorbed into the mitochondria of the cell. The mitochondria are the “powerhouse” of your body’s cells and make ATP, which is needed for the life enhancement process of every cell. Pain relief – as a result of increased endorphin release. Faster healing – healing time may be less than one-third to one-half as long when compared to treatment without the laser therapy. Anti-inflammatory action – reduces swelling caused by bruising or inflammation of joints to improve joint mobility. Reduced scar tissue formation – following tissue damage due to trauma, cuts, scratches, burns and surgery. Increased metabolic activity – CL helps your body increase output of specific enzymes, greater oxygen to blood cells, and more effective immune response. Increased vascular activity – stimulates lymph and blood circulation to allow the tissue to have maximal circulation. Strengthening the immune system – via increasing levels of white blood cell activity. The Class IV Aspen laser is FDA approved to reduce pain, inflammation, muscle spasm, and arthritis. 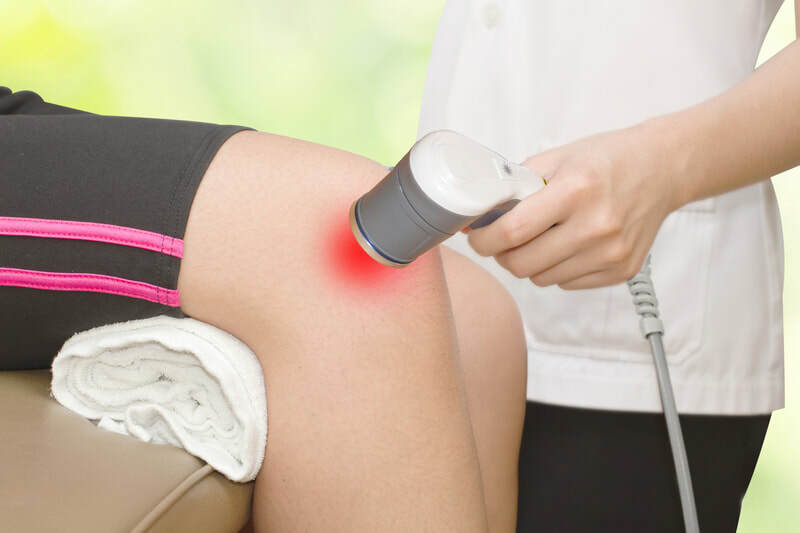 There are no side effects to laser therapy, although some patients may feel mild muscle or nerve changes as your condition goes through a recovery period. Yes, you will feel a soothing warmth during the laser treatment. You will not feel any pain. How often should I have laser treatments? For optimal results, the first week of laser therapy should be 3 treatments. The second week should be 2 treatments. After that point, the certified laser technician will re-evaluate your condition and determine the course of any further treatments. The fee for a standard laser treatment on one area is $75. 6-visit treatment plans for one area are $360 ($60 per). 10-visit treatment plans are $500 ($50 per). If you have 2 areas or conditions that need laser treatment, the 2nd area is at a 50% discount.